Our October auction happened to fall on Halloween this year, so our team decided to get in the spooky spirit before the property sale began. 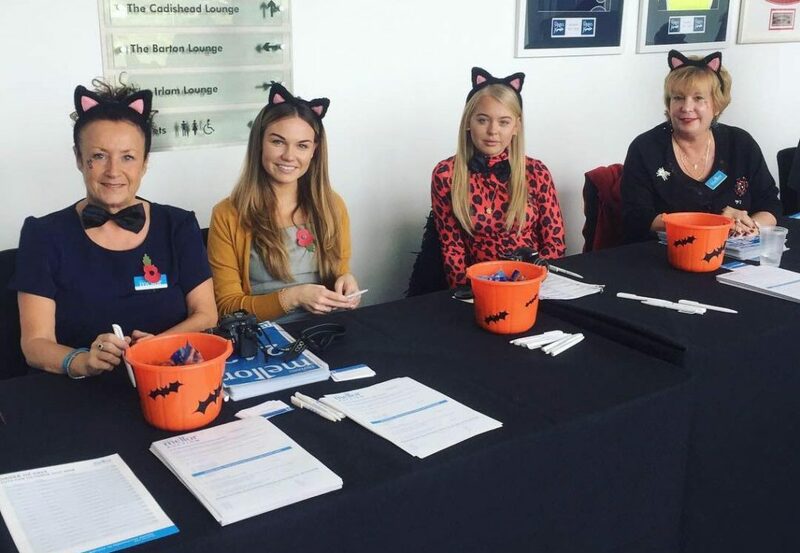 Equipped with cat ears and bucket loads of sweets, our auction team registered buyers who had travelled to our auction from all over the region. Featuring over 60 properties from across the North West, our line-up attracted the attention of developers, investors and home buyers. Although we had a few empty seats in the auction room, we still achieved some incredible sale prices for our vendors. Let’s take a look at some of the star lots from Wednesday’s auction. 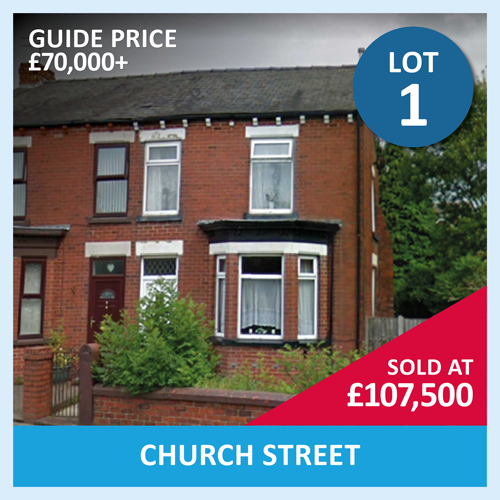 Church Lane in Bolton was the first lot to go under the hammer yesterday. This large property received a high level of interest from buyers prior to our auction, with multiple viewings taking place. The property was so popular we actually agreed not to accept offers prior to our October auction. Church Lane kicked-off the auction with a guide price of £70,000. After some close bidding, the property finally sold for £107,500! Lot 6 is the next property to make it into our list of top selling lots at our October auction. Brook Road in Fallowfield is a large building made up of 5 self-contained flats, making it an amazing investment opportunity. This property was new to the market for the first time in 40 years, so as you can imagine, the interest in this house was sky-high. From the moment it became available we had loads of buyers eagerly booking viewings. We could tell Brook Road was one to watch before it even made it to the auction room. 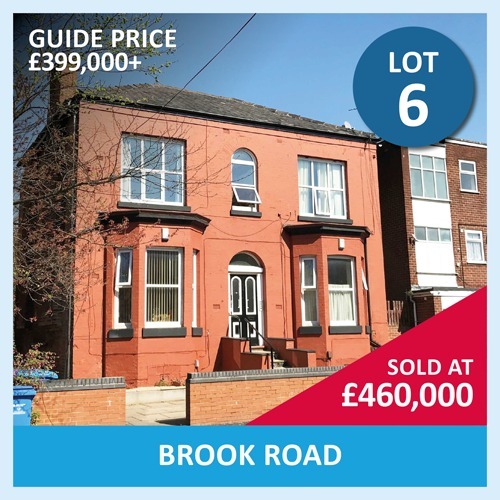 Brook Road was offered at our October auction with a guide price of £399,000. After some competitive bidding, the hammer finally fell on a sale price of £460,000 – 14% over the guide price! 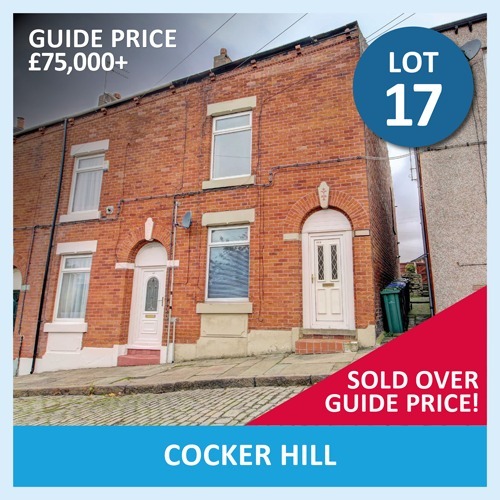 The next property that received a lot of attention was Cocker Hill in Stalybridge. Our client lives aboard and wanted to sell some of their portfolio once the property had become vacant. As the property is vacant, time was of the essence, but our vendor didn’t want to compromise on the price and just “give it away”. Our team worked hard and generated a lot of interest prior to our October auction. We actually received an offer that was significantly higher than the guide price a couple of days before the auction. Our client decided to accept the offer and was over the moon with the speed and quality of service provided by our team. 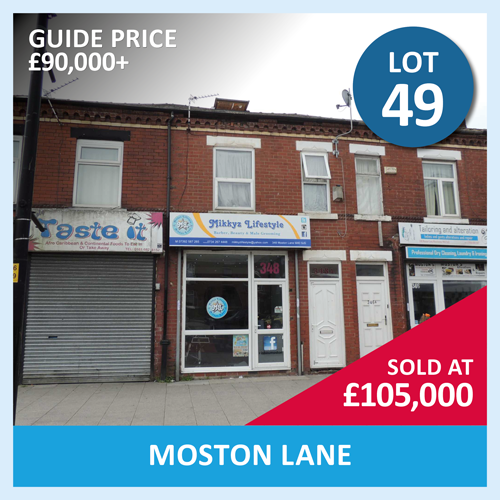 Last but not least we’d like to talk about lot 49, a commercial property on Moston Lane. Our client needed a quick sale for his property, so decided auction was the best way of achieving this. It is a tenanted mixed-use investment and was valued on the open market at £100,000. This property went to auction with a guide price of £90,000 and at the fall of the hammer, it had sold for £105,000. Our last auction of the year will be held at the AJ Bell Stadium on the 10th of December. If you want to sell your property before the end of the year for the best possible price, get in touch now. Call 0161 443 4740 or click here to book your free appraisal. There are still some amazing properties to buy post-auction, so be sure to take a look below! If you would like to enquire about a certain property please contact our auction team. Call 0161 443 4740 or email [email protected] now.